First of all, a very big thank you for the many birthday wishes I received after the last newsletter. I couldn’t have been more surprised, but… thank you! I do hope all your good wishes will come true. My much wished for crusader sword is a little late arriving, so I’ll show it off next month – promise! Meanwhile, I’ve finally created a Facebook page for Essentially England! I’m sent so many special offers and great travel, hotel or restaurant deals, that it’s impossible to add them to the site before they expire. I publicise the best ones on my Twitter feed, but always felt I could do more. So I’ve decided to use the Essentially England Facebook page to make sure the best of the special offers are seen where they can do the most good. There will be other stuff on the page, too – site updates, interesting tidbits I’ve found and some of my favourite photos. So if you use FB, please wander along to the Essentially England page and ‘LIKE’ the page. That way, you’ll keep up to date with all that’s going forward. Many of us like to watch the BBC’s Downton Abbey, fascinated by the people and the history. But I’ve just discovered that the place where the series was filmed has a history that’s just as amazing. Highclere Castle will be known to many people as the home of Lord Carnarvon, the man who financed Howard Carter’s discovery of the tomb of Pharaoh Tut-ankh-amun, and eventually died as one of the first victims of the Mummy Curse! Highclere’s Egyptian exhibition has replicas of all of Carter’s famous finds and the castle and grounds make a wonderful, exciting day out. Now, with Downton Abbey being filmed here, the castle will be even more popular with visitors. 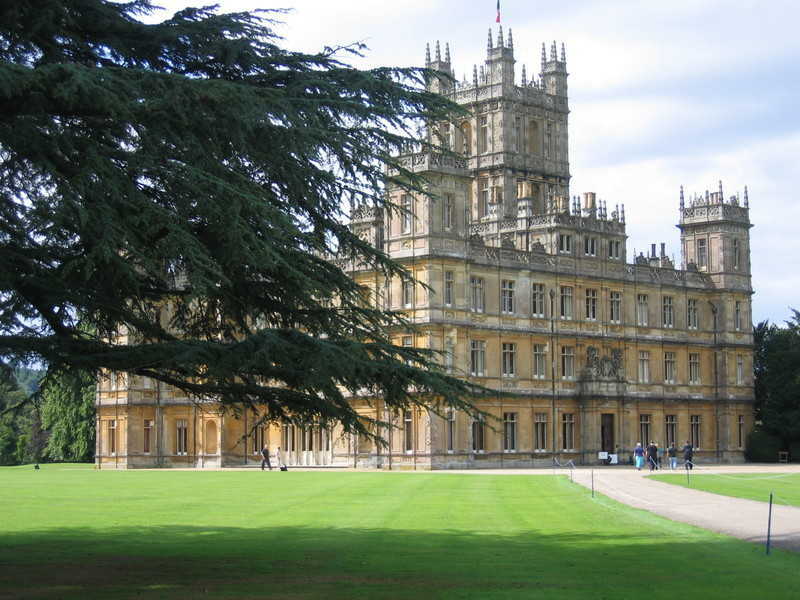 Especially when they learn that Highclere has a history very similar to that of the fictional Downton Abbey. Lady Almina, the 5th Countess of Carnarvon actually converted Highclere Castle into a 'Military Home Hospital' in the early years of the First World War. And this book, lovingly researched and written by the 8th Countess, tells the extraordinary story of life before, during and after the Great War, from Almina's marriage to the 5th Earl of Carnarvon in 1895, through the Edwardian period to the years before the War. And Really Traditional Cadbury's Chocolate Gifts! There, a little help with your Christmas shopping from Essentially England! I love old cookery books – not just for the recipes, odd tastes and ingredients, but for the stories and memories those recipes evoke. And just last weekend I came across a real treasure trove. Amongst some really old-fashioned recipes was one for Negus, a hot alcoholic drink. I’d first encountered Negus in the Regency novels of Georgette Heyer where – at card parties and other social outings during the chillier parts of the year – gentlemen drank arrak punch and ladies were offered Negus. I had always assumed Negus to be some sort of non-alcoholic fruit punch, but boy was I wrong! Here’s what you need to make enough for 10-12 people. To my way of thinking it’s just the right, slightly unusual thing to serve when you have friends round for a little pre-Christmas get together. Serving it after a round of carol singing in place of the traditional mulled wine would work, too. Zest the lemons very carefully. You don’t want any of the white, bitter pith in the mix. Combine the water, sugar and lemon zest in a pan and warm until the sugar is dissolved. Keep stirring to avoid the sugar catching on the bottom. When the sugar has fully dissolved add the lemon juice, port and a pinch of nutmeg. Heat thoroughly – until steam rises from the pan – but don’t let the mixture boil. Take off the heat and pour into a heated punch bowl or heated glasses. Serve with a little more nutmeg grated over. It's the season for 'that was the year that was programs' but though I love history, that's not really my style. Rather than look back and rest on my laurels (if any), I like to look ahead. 2011 has seen many changes in my life and the site hasn't had the attention I would have liked. Next year, I'd like to do better and next month I'd like to share some of my ideas ... and hear yours.